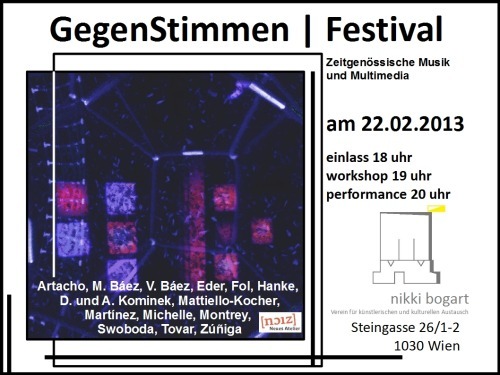 Poster for GegenStimmen, Feb. 22, 2013. Poster design by Nikki Bogart. Poster art by Clio Montrey. Project through Neues Atelier.